The School will remain closed on 13th april 2019 on account of Ram Navmi. Co-educational Sr. 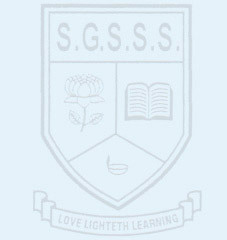 Secondary School, affiliated to the C.B.S.E. New Delhi, came into existence of on 15 th JAN. in 1980. Named after one of the greatest saints of last century, ST. GREGORIOS Of parumala, this temple of learning was lighted for life as an educational venture of the ST. GREGORIOS ORTHODOX CHURCH society, udaipur with the sole objective of imparting sound and purposeful education-physical intellectual, social-on a sound footing of democratic, moral, ethical and spiritual values, to boys girls of all coounities, irrespective of their castes and religions, with a missionary zeal. The school also endeavours to inculcate in children ardent feeling of patriotism, tolerance, self-sacrifice and pride in the rich and varied, cultural heritage of our country so that they would live and act as useful responsible and law-abiding citizens of our country. Copyright © 2009-19 St. Gregorios Sr. Sec. School. All Rights Reserved.